Janne Kristiansen, head of Norway’s police intelligence unit PST, faced her critics on Friday and claimed she had no intention of resigning. She apologized, though, for her lack of clarity in various comments made after last summer’s terrorist attacks. Kristiansen’s boss, new Justice Minister Grete Faremo, had conceded this week that Kristiansen “created confusion” by making comments that either appeared contradictory or were simply wrong. It was Faremo who summoned Kristiansen back to Norway this week from travels in the US, after nearly all the political parties in the Parliament (Stortinget) had indicated they were losing confidence in the PST boss. “My message is that I’m sorry as PST chief, I take responsibility as PST chief, and I’m continuing as chief of PST,” Kristiansen said at a press conference Friday afternoon. 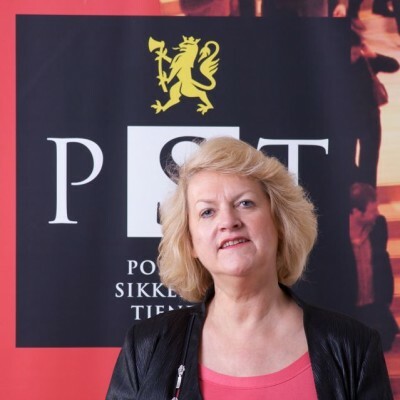 She said she “regretted” that she was not “more precise” when asked why PST (Politiets Sikkerhetstjeneste – Norwegian Police Security Service) hadn’t followed up on tips it had received from an international anti-terror effort called Global Shield that monitors trade and currency movements across borders. Global Shield had passed on information to Norwegian customs about confessed terrorist Anders Behring Breivik’s purchase of chemicals that could be used for making bombs. Norwegian customs, which also had tracked Breivik’s transactions involving foreign currency, passed on the information to PST but PST didn’t pursue it and Breivik was not put under surveillance. Kristiansen said at the time that PST wasn’t legally allowed to register such information. Given PST’s long record of registering information and maintaining files, many found her explanation incredulous, and another PST official later said it wasn’t illegal after all. She said it was “a challenge” to be “completely precise” in all comments, and apologized for releasing unclear information. She also claimed that she and PST colleagues would learn from their failure to prevent the attacks of July 22. Kristiansen said on Friday that PST has received more than 15,000 reports from its various forms of international cooperation. The six lists it received from Global Shield came in addition, since they were through customs, not police, cooperatin. The name of a Norwegian who was on one of the reports because he had bought chemicals in Poland was not Breivik’s, she said. He was checked out and apparently cleared. Breivik’s name was among those on another list of 41 persons, she said, but the purchase in question was valued at NOK 121.22 (about USD 22). PST opted against pursing the matter, she said. Faremos said later she was glad to receive Kristiansen’s apology, clarification and new information, and now needs some time to fully evaluate it all. She said she would then pass it on to concerned members of parliament.